South Africa: When Climate & Health Collide - Will SA's Policy Have the Teeth - - or the Money? Aedes Aegypti mosquito, responsible for spreading Dengue fever. The health department is bracing itself for a perfect storm when climate change and our over-stretched health system collide. We, as a species, are hurtling towards the greatest threat we've ever known: climate change. We are fundamentally changing the world we live in and seem bound to ratchet up the earth's temperature by 1.5 degrees Celsius by 2040 compared to the world as our ancestors knew it before the industrial revolution, the United Nations Intergovernmental Panel on Climate Change predicts. A hotter earth will affect how we farm, how we live and what makes us sick. Farm workers will labour under an increasingly intense sun, leading to new and unexpected patterns of kidney disease as seen in Latin America. United States researchers have predicted heat-related deaths there to continue to skyrocket in the years to come, 2018 research published in the International Journal of Environmental Research and Public Health reveals. In 2003, European heatwaves were responsible for 70 000 deaths, mostly among the elderly. And in India, increasing drought and repeated crop failures have even fuelled suicide rates among some farmers, 2016 research in the Indian Journal of Economics and Development shows. In South Africa, some areas of our water-scarce country will, at once, become drier while other parts will see more frequent and intense flooding. With less rain to replenish groundwater, the water that many South Africans haul from their boreholes or streams will become poorer in quality and flooding may put it at further risk of pollution, the Council for Scientific and Industrial Research argues in a 2017 book. 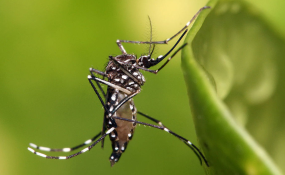 And, 2015 research in the journal Vector-borne and Zoonotic Diseases predicts that warmer temperatures will also change the way diseases reach communities, beckoning malaria-carrying mosquitos that had been historically confined to specific areas farther afield. Hotter temperatures also impact our mental health. Multiple studies have associated distress and a profound sense of loss with environmental destruction - a phenomenon that psychology has come to call solastalgia - with climate. The process of climate change is itself a psychological trauma, researchers argue in a 2019 study published in the journal Ecopsychology. "Disadvantaged communities are most vulnerable", the health department admits in the country's first climate change plan for health released in 2014. "And yet [these communities] have the least resources, to respond to climate change and health threats, such as increased natural disasters, food and water insecurity and changing disease distribution." These are shifts that threaten a health system already struggling to cope with a high burden of disease and severe socioeconomic inequality. The 2014-2019 health department plan committed the government to, among other things, creating a national climate change steering committee, charting potential health impacts and piloting new ways of adapting to changing temperatures in communities. But just how far we got with the plan has been difficult to track. The document's toted provincial implementation strategies, for instance, are not publicly accessible. But the plan's recently released successor - which will chart the health department's strategy on climate change until 2025 - admits some activities never made it from paper to reality. A draft of the new plan began circulating among civil society in February. Public comment on the first draft five-year strategy closes on Friday, and there is cause for concern. How much does it cost to head off the health consequences of climate change? Well, South Africa budgeted a mere R1.090-million for it over the six years covered by the previous plan. The bulk of the money was designated almost equally between what the strategy vaguely termed "response" and "research". A measly average of R28 000 annually would be devoted to management and coordination. Overall, the previous strategy dedicated about R182 000 per year to respond to what is arguably the most significant threat humankind has ever known. In light of allocations in the recent budget, that - in short - is likely chump change. I say likely because no costed plan was ever released to project just how much we need to mitigate or adapt to the health impacts of warmer temperatures. And what doesn't get funded, well, obviously doesn't get done. Almost a decade after the country's previous plan launched we still are largely in the dark - at least publicly - about what it accomplished. We cannot afford to look back in another five years when the effects of climate change will be even more significant and say the same. The health department's current draft document lacks the kind of indicators or goals that would allow policymakers to track its implementation. Here, it may be time to take a page out of the department's HIV playbook. Roughly every five years, South Africa compiles a new HIV and TB plan through a series of national consultations, desk-based reviews and expert consultants. The country's latest such document includes, for instance, eight specific goals and a set of sub-goals. Watch: What is the world's HIV programme planning? National strategic plans for HIV and TB have created an enabling environment for health care workers and other implementers, clearly outlining what should be targeted and where the biggest impacts could be made. The widely available document has also proven to be an accountability mechanism for civil society. As the current climate change plan reads now, it is difficult to understand what the national health department will prioritise in the next five years. We need a strategy that speaks not in broad brushstrokes about the intersection of climate and health, but to specifics and about how they will collide here in South Africa and impact our health system. In this regard, the plan needs to do a better job of integrating existing research. The HIV sector talks about "knowing your epidemic" - about understanding who, where, when and how people come to contract the virus. The same applies to the nexus of climate change and health in South Africa. Who, for example, will be most exposed to the kind of scorching temperatures that may increasingly strain kidneys? When and where will rising temperatures and drought increase food insecurity? And how will the structural violence of apartheid play into this public health threat? Understanding the answers to questions such as these is the first step to creating goals that make sense for us and that we use to hold those in power to account. Like what you're reading? Sign up for our free weekly newsletter or donate to support great journalism and new insights. But there's reason to be hopeful. The country's next plan on climate change and health is still in its early stages and could potentially incorporate some practical solutions to adapting our communities to a warmer earth - many unsurprisingly come from nature. Urban greening - planting more trees and creating larger green spaces - may help cool our cities. Although more studies need to be done in this area, initial research suggests that greening spaces could cool sections of our cities by almost one degree Celsius, a 2010 research review published in the journal Landscape and Urban Planning found. One of the most profound public health responses to climate change is to ensure our government, institutions and organisations divest from fossil fuels. Cutting greenhouse gas emissions alone could help save seven-million lives annually, a 2018 World Health Organisation (WHO) report argues. But, it's not as simple as writing a policy document and planting some trees. Those that will be hardest hit by climate change are likely to be South Africa's poor and marginalised and should be at the centre of policy development. Adapting to climate change is a momentous social justice issue. Around the world, healthcare workers are taking action. The Planetary Health Alliance is building a global community of health care workers and the WHO has developed a plethora of material to support policy-planners and governments. One in 10 large cities among about 400 surveyed around the world has already started rolling out public health programmes to help communities to adapt to climate change - mostly around preparing for extreme weather events, rather than long-term infrastructure investments or developing capacity to respond, a 2016 study published in the International Journal of Health Services revealed. While climate change is dire, only action will change the course of the future. Through its new Climate Change and Health Adaptation Plan 2020-2024, the national health department has a renewed opportunity to lead from the front. Garret Barnwell is a clinical psychologist and PhD candidate at Nelson Mandela University. He has a special interest in planetary health, focusing on the psychological experiences of environmental degradation and climate change.